If you are looking for a fun game to play with preschoolers, this homemade version of the peanut butter and jelly game is a great one to try. You can even have them help make the game with you by allowing them to trace the templates onto felt and cut them out. Add the cute lunch bag to store the game in and it makes a great homemade gift for preschool aged kids as well. 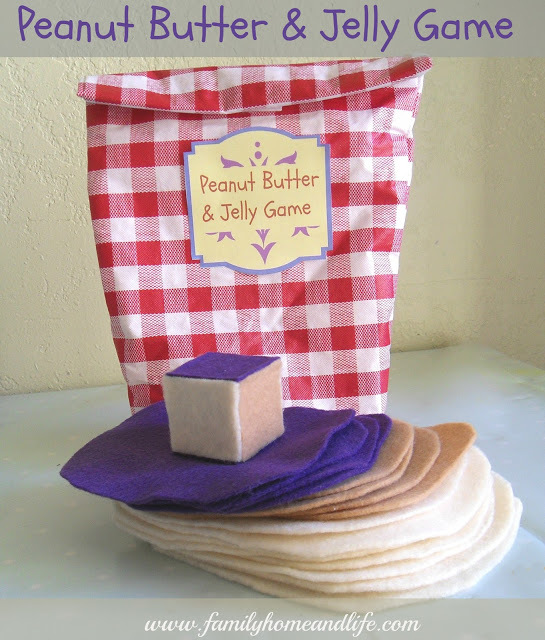 You can check out how to make your own peanut butter and jelly game over at Family, Home, and Life. Make sure to check out other ideas for handmade toys in the archives.